I got an early Christmas present of the MTFCA reference library on 3 CD's, WOW, what a great set!!! It has too much to recall but some Ford Dealer and Owners magazines, at least one Ford Dealer and Sevice Field Magazine, the Canadian Service Bullitens, parts books, sales brochures, aftermarket accessory brochures, a Stevens Speed Up Tools catalog, a KR Wilson catalog, and much more. One of the Ford dealer and Owner magazines had a set of plans to build a speed boat with a model T engine as the power plant. I give it two thumbs up. 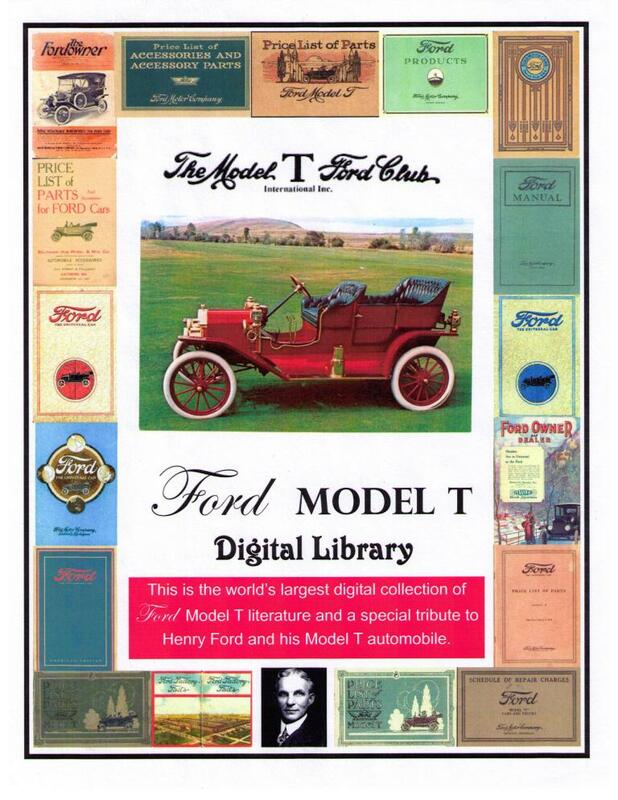 It has a wealth of Model T information and some pre-T information also. If you are describing a different 3 DVD/CD set – please let us know. I’m always interested in more Model T information. Hap Tucker l9l5 Model T Ford touring cut off and made into a pickup truck and l907 Model S Runabout. Sumter SC. Yes that is the one, MTFCI it is.